I had a 20% off code a few weeks ago, so decided to order a few things from Boden for October. I was really pleased with most of it and kept almost everything. 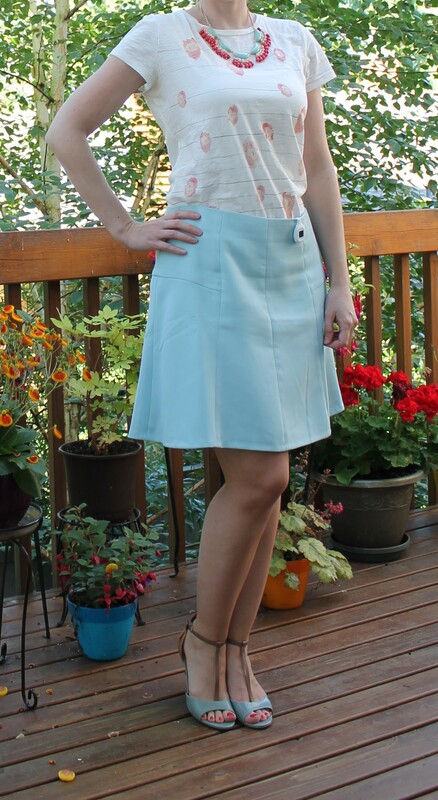 I am in love with this skirt, which is a good thing since I ordered it in 2 colors. 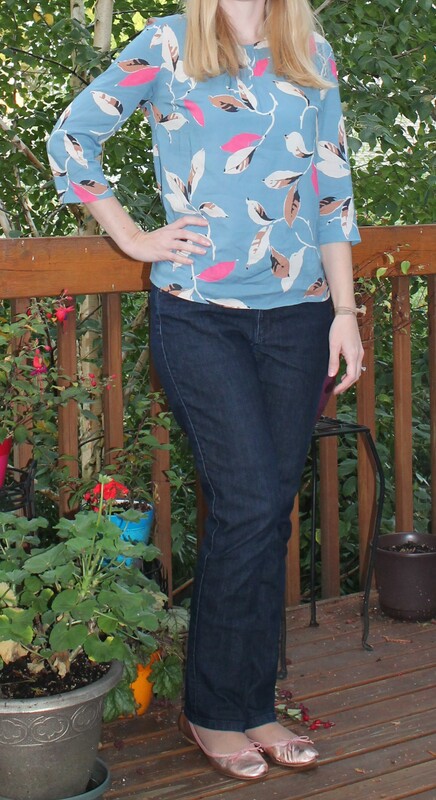 Here I’m wearing the navy in a 6L (love the longer length, doesn’t really make it a “mini” though) with the printed top that has tiny little dachshund dogs on it size 6. Adorable!! I actually wore this outfit to work today. I tried it on last night, loved it and put it out to wear the very next day. And this is the sixties mini again in the Bright Coral color paired with the patterned jumper with tiny british soldiers on it. I love the sweater. It fits nicely and is so soft! I got the sweater in a size 8 because I wanted to be able to wear a button down shirt underneath for layering, but it fits nicely even without an extra layer. I can sometimes get a size 6 in sweaters so I think this one ran a tiny bit small. This was the only item that (very regrettably) had to go back. The fabric was nice, the color was great, the swish of the skirt was fantastic, but the bodice just didn’t work for me. The darts stood out leaving puckers of fabric in an unattractive way and it just didn’t work for me. I have since decided to reorder it in the plum color in a size 4L with hopes that the top would fit better but I’m not sure if that will work. I ordered plum since they didn’t have the green in my size at the moment (it has since been restocked.) I really hope the plum one works out! Here are a few more outfits I’ve been wearing to work lately. 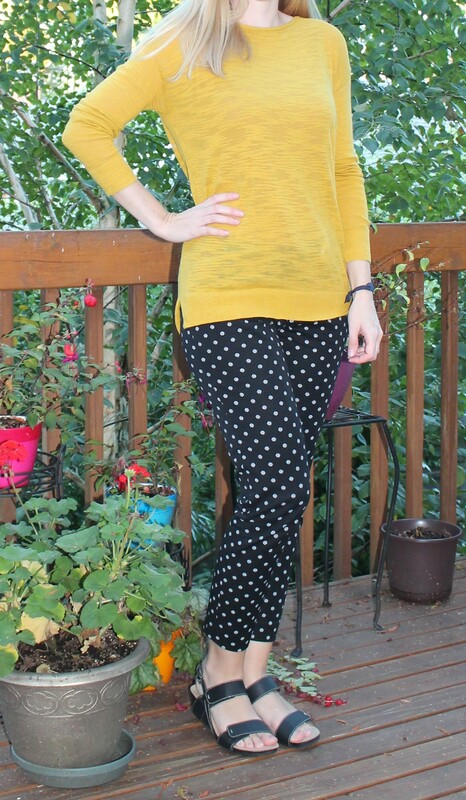 I ended up really loving these pixie pants from Old Navy. I was super reluctant to try them because Old Navy pants don’t usually fit me well, but these are soft and stretchy and fit me like a glove! I ordered another pair in a plaid pattern online. Love these pants! The sweater is from Loft. This is a fall look I’d been seeing in London and wanted to duplicate at home. 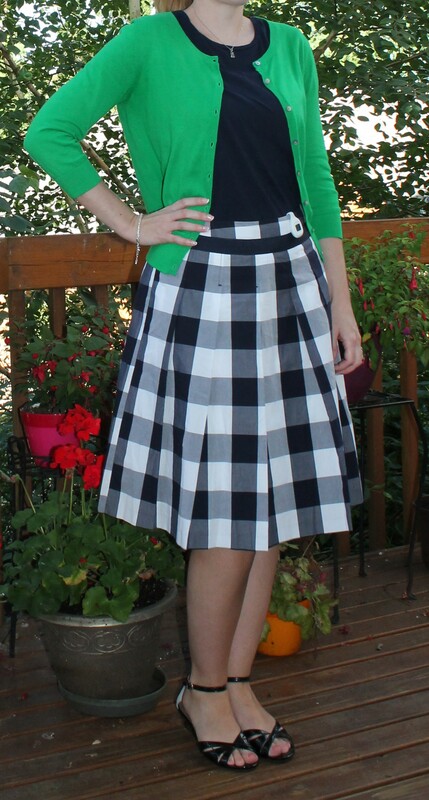 The skirt is from Old Navy, but it looks like it’s sold out. 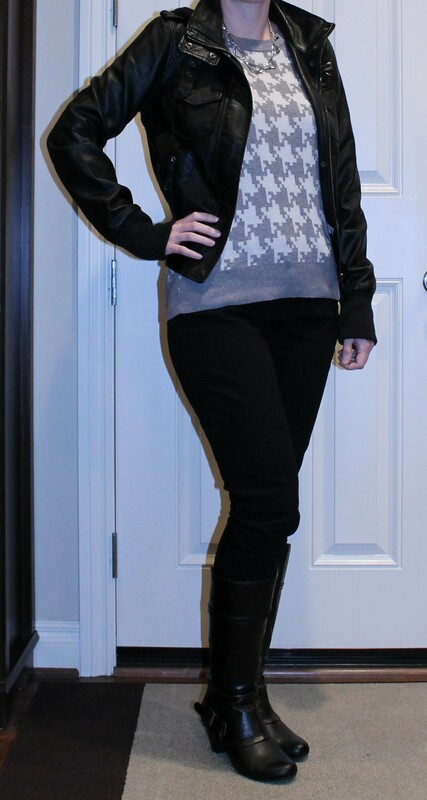 The sweater is from Primark in London and the shoes are White Mountain. This is the easy printed top from Boden which is currently on sale but almost sold out in this color, paired with straight leg jeans and these adorable flats by Nine West. I’ve noticed that Kimono tops seem to be the latest trend. I had gotten a few from Golden Tote as chosen options, and one as a surprise item. Then when I was in London earlier this month I kept seeing them in stores and a lot of the girls around the city were wearing them. I love how easy they are to throw on over a tank or tee, and in the winter I plan to wear them with a long sleeve tee underneath to stay warm. Here are the two I got from Golden Tote and how I wore them to work. With this one I went with more of a zen vibe and wore my Tibetan prayer mala necklace and a turquoise ring. It was a warm day so I was okay with just a tank underneath. 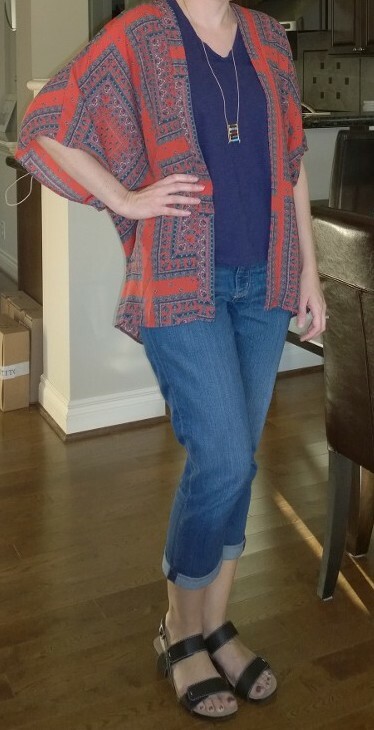 Then with the red one I decided to wear a slouchy navy tee underneath, along with my boyfriend jeans and a necklace and some earrings I had made from a “For the Makers” box. In the air conditioning I was cold so in the future I’ll probably wear long sleeves with this one unless I can be outside or in the sun. Here are some of the things I’ve been wearing in June. 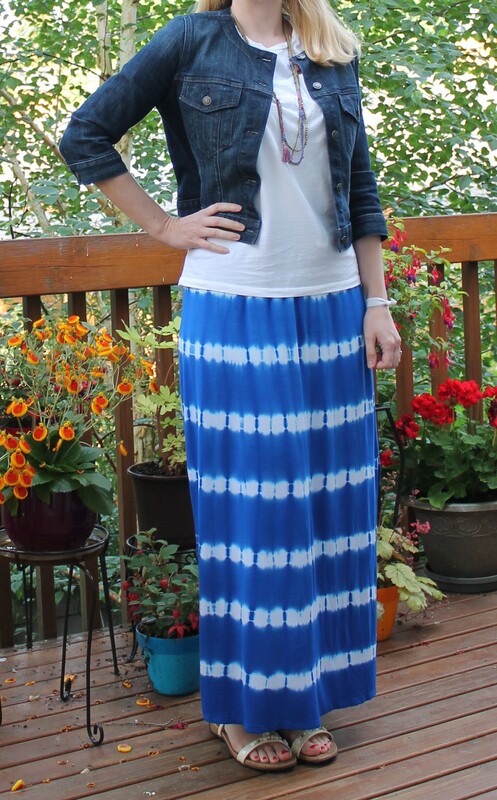 I got this Maxi Skirt on sale at Kohls and paired it with my usual jean jacket and some comfortable sandals. The boho necklace is from Ann Taylor Loft. 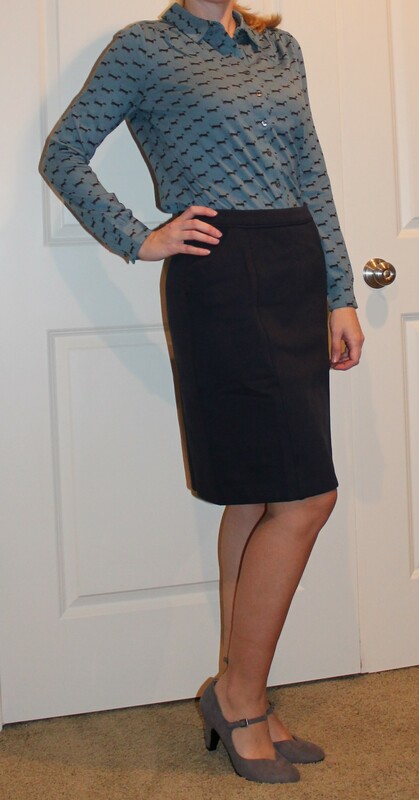 The Blue Skirt and graphic tee are from Ann Taylor Loft, the necklace from Kohls, and the shoes are Nine West. 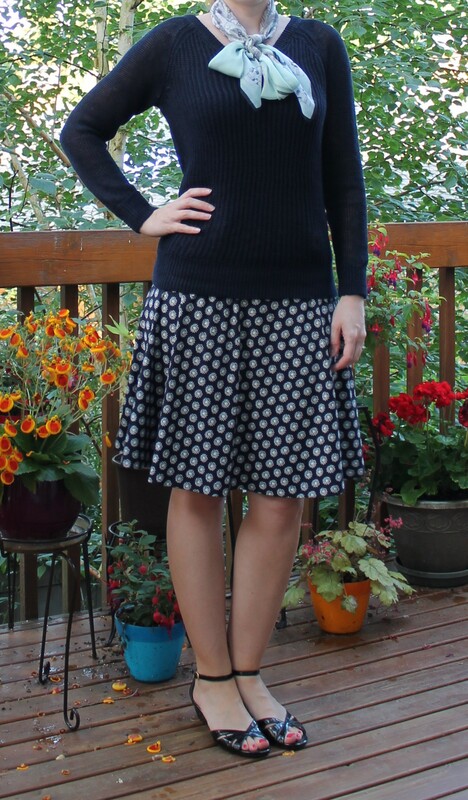 The knit circle skirt is from Ann Taylor Loft, and I have it in 4 colors. It’s incredibly comfortable and easy to pull on when the weather warms up as an alternative to shorts. I wear them both to work and on the weekend. 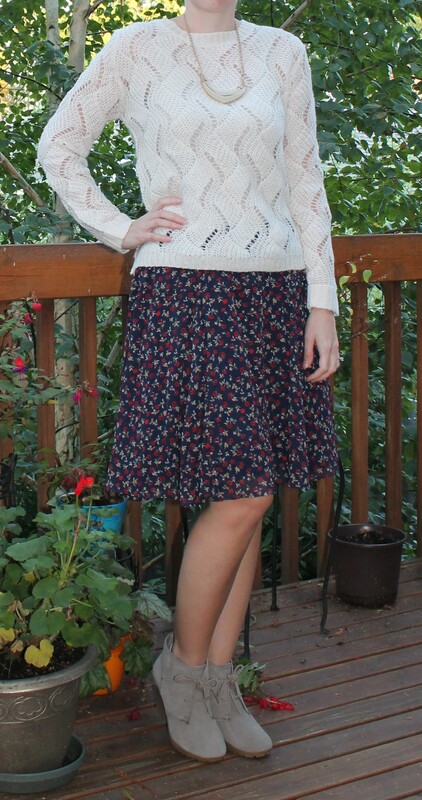 Here I paired it with a sweater from Ann Taylor Loft and a scarf from London. 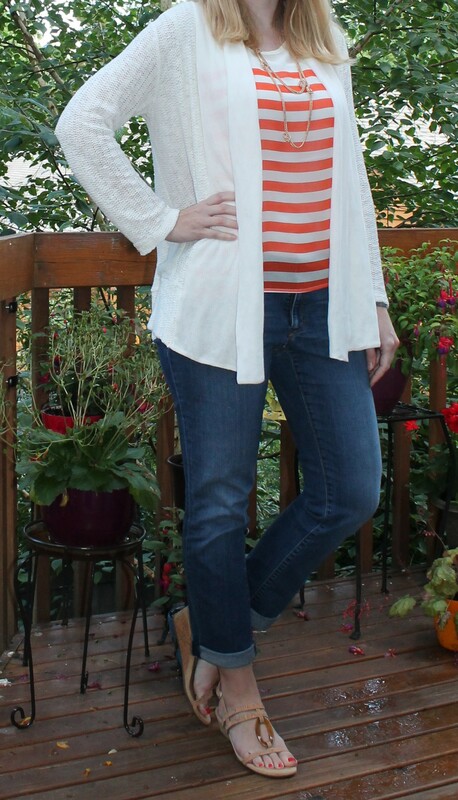 The striped blouse was from Stitch Fix, and the cardigan from Piperlime. The Maxi dress is from Target, and the bag is Kate Spade. I paired it with my favorite jean jacket. 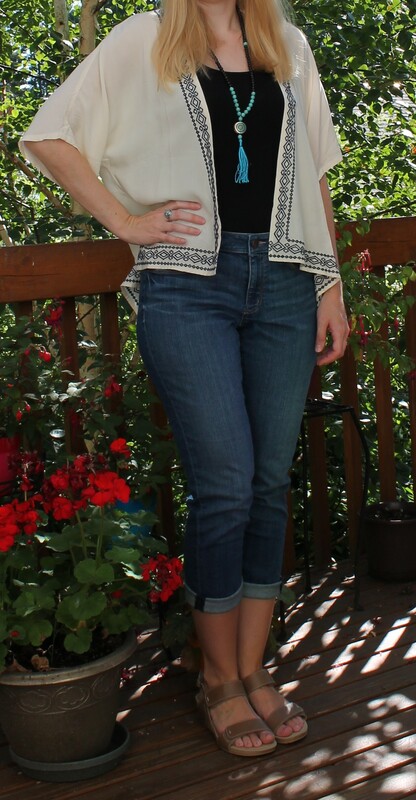 The top and necklace are from stitch fix. I paired it with a white linen blazer I got from Nordstrom last summer. I find that this silhouette works really well for my shape. The A-line pulls away from my hips and gives me a nice straight shape. 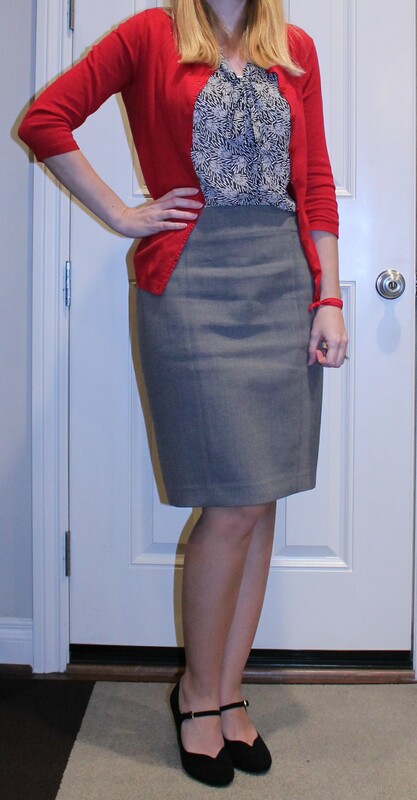 The skirt is from Boden and the cardigan is from Old Navy.